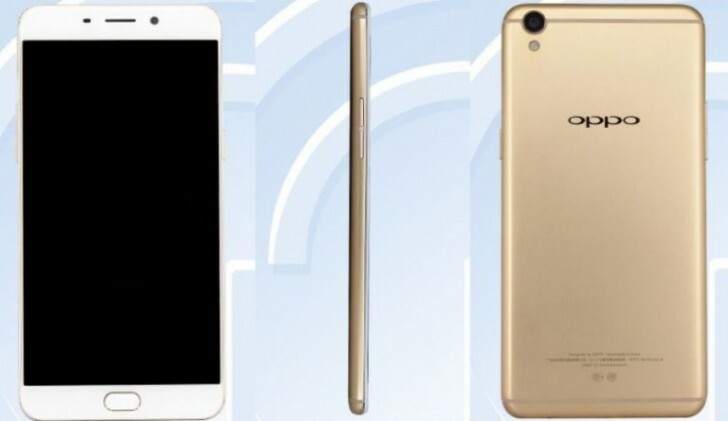 Over the past few weeks we've seen a lot of rumors popping up regarding the upcoming Oppo R9. Despite the fact that the previous two members of the R-series have been nothing more than mid-range in terms of specs, the R9 was supposedly going to be a true flagship, with the Qualcomm Snapdragon 820 chip powering it. Well, that theory has now been debunked courtesy of TENAA. The Chinese equivalent to the US FCC has certified both the R9 and the R9 Plus for sale. As usual, this process has revealed both images of the two handsets, as well as a list of some of their specs. Let's start with the R9, pictured above. It has a metal build as you can see, and it comes with a 5.5-inch 1080p AMOLED touchscreen, a 1.95 GHz octa-core processor, 4GB of RAM, 32GB of expandable storage, 4G support, dual-SIM functionality, a 2,850 mAh battery, and two 16 MP cameras - one on the front, one on the back (which also has a LED flash). It runs Android 5.1 Lollipop. Its dimensions are 151.8 x 74.3 x 6.5 mm, and it weighs 145g. While the SoC employed isn't mentioned by name, it's clearly not the Snapdragon 820, since that features a quad-core CPU, not octa-core. 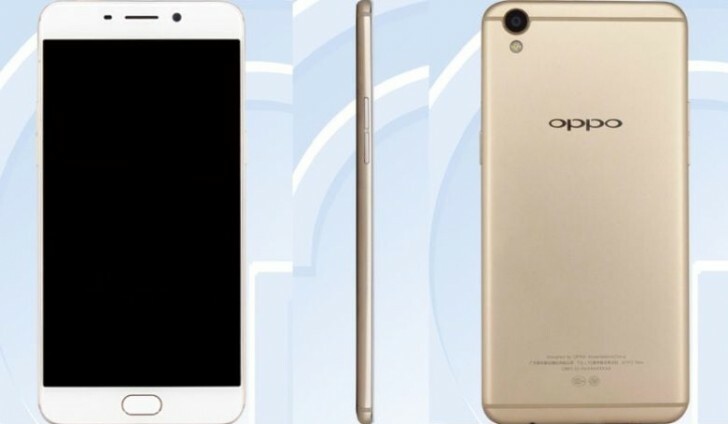 Based on the clock speed alone, we could see MediaTek's Helio P10 inside the Oppo R9, but that's just speculation. Moving on to the R9 Plus (pictured above), once again the fully metallic construction is obvious. This handset sports a 6-inch 1080p AMOLED touchscreen, the same 16 MP cameras as its smaller sibling, a 1.8 GHz octa-core processor, 4GB of RAM, 64GB of expandable storage, a 4,120 mAh battery, dual-SIM support, and 4G LTE. Oddly, it seems to be running Android 5.0 Lollipop, which is a rather ancient version of the OS at this point. Its dimensions are 163 x 80.8 x 7.4 mm, and it weighs 185g. Once again the Snapdragon 820 can't be at the helm, yet in this case we get a different SoC than in the R9. If we were to speculate, we'd assume the R9 Plus has the Snapdragon 652 inside (only based on the CPU clock speed and number of cores). So the R9 and R9 Plus certainly look like solid mid-rangers, but not the flagships they've been rumored to be. Perhaps Oppo will finally unveil the Find 9 this year then. And speaking of unveilings, the R9 duo will go official on March 17.